Cómo llegar a Villa Crespi? Your driver will wait for you in the arrivals hall. The executive car can accommodate two guest. Please advise your flight details and number of passengers. 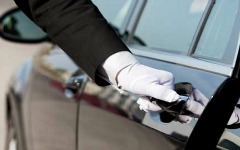 Return reservations possible, directly at the hotel.The fare indicated is for a single journey. Restaurante gastronómico: lunes y martes mediodía (del 8 de febrero al 13 de enero). Del 14 de enero al 7 de febrero.